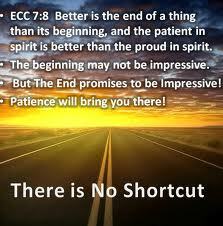 The Power to Prevail & Win is often generated by a strong finish! A great deal is said about the importance of strong starts. 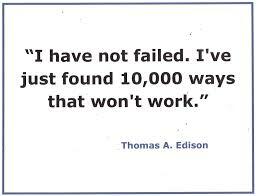 This is one of the most popular ideas among positive thinkers. Yet, Just as important but not as popular is the notion of a strong finish. Many a great start from the tee in the game of golf is made sour, by poor performance on the green. The finish is as critical as the start. In fact, the best starts start with a great finish in mind. The greatest ideas are most often proposed by the greatest leaders. That is why I pay most careful attention to the Master Teacher, Jesus. One of the wise teachings of Christ is His command; “If your neighbor asks you to go with him a mile, go with him two.” This thinking seems reverse of the way most people approach life. Give the least you can in a situation and get the most out of it seems to be the popular approach. Yet, Jesus points out a higher wisdom. Give the most you can in a situation and you will naturally get the best out of it. Call it Karma. Call it law of the harvest. Call it whatever. But a mindset to give more than what is required will bring more bountiful results. That is the lesson here. We like to do something and be done with it. 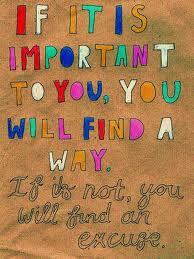 Yet, the most important matters in Life, nearly always require second effort. Dr. Dennis Waitley in teaching this concept asks a whole room of people, to raise their hand as high as they can. Then when they do, he immediately follows with the command; now raise your hand higher. Without exception, everyone in the room raises their hand even higher than they did the first time. Why? Because, we seldom give our best; to first efforts. We can nearly always raise the bar, a little higher and try a little harder. Remember Rocky? I like to call his winning power; the Rocky syndrome. What do I mean by this? I mean, A guy who refuses to go down is really hard to beat. As a karate teacher, I know this to be true. Giving that added oomph, the extra effort at the finish line that the opponent does not expect will set you apart, from the competition. When I was a boy, I practiced long and hard to compete and the local Punt, Pass and Kick. In my hometown, this was a huge thing to any youngster trying to prove his football skills. I practiced a ton. Yet, on the day of the event; I tore the muscles out of my leg showing off jumping over a pronged fence. I was instructed to go get it mended and sewed up. But to do so would have made me miss the competition, so I plead my case to the officials to let me compete first. When I got back, leg tear and all, I had still won first place. I had also won the admiration of all who watched me compete and win, in spite of my injury. Sometimes, it’s just a little bit extra that causes the scale to tip up and not down. I ran for many years. 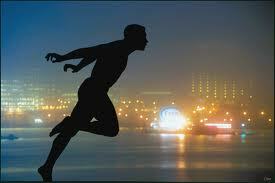 When running, I learned that when it gets difficult, you can almost always get a Second Wind.. It seems that The Power to finish resides within us. 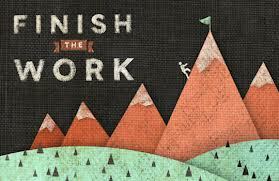 But the power to finish does not run to the finish line but runs past the finish line..
Babe Ruth struck out a lot. Still, he is not remembered as the strike out king but the home run king. People will forgive and forget your limitations, if you rise above them, to win. Keep swinging. Make it a habit to finish strong. Always do a little more than expected. Let a personal trademark be, that you exceed requirements. Give more than you have to. 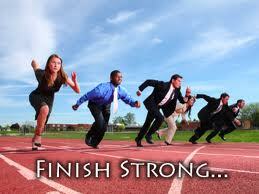 You will find that finishing strong will increase your ability to win, personally and professionally. This entry was posted in Faith & Inspiration, GUTS - What is it?, Sales & Sales Training, Work Related and tagged Dennis Waitley, finish, finish line, finish strong, Jesus, personal growth, second effort, Selling, The Power, Workplace. Bookmark the permalink. 1 Response to The Added Oomph! Finish Strong. Hi there to every body, it’s my first visit of this blog; this weblog includes amazing and truly fine information for visitors.